I am so proud to participate on the guest post! Thanks Fae! This was a lot of fun! 4 Nominate up to ? bloggers for Shine On Award, provide a link to their blogs in your post, and notify them on their blogs. 2. One of my favorite places to be is the beach! The other is England! 6. I have a dog and a fish. The fish can do tricks, like balance its food on its nose! 7. I am loving this blog and am so thankful that you guys are interested in it! Here are my nominations for The Shine On Award! Congratulations! 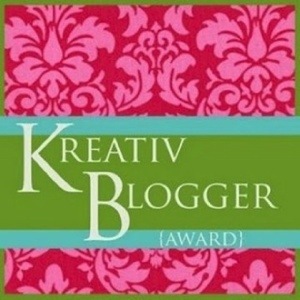 And the second award was the Kreativ Blogger Award from the lovely rabbitcancook! Rabbit has a great blog and is so talented so I advise that you take a look at her bog, http://rabbitcancook.wordpress.com/. Thanks again, Rabbit! 4 Nominate 7 Kreativ Bloggers for the award, provide a link to their blogs in your post, and notify them on their blogs. 1. I recently got a new Kitchen Aid mixer! Yay! This is very exciting for me because I am used to a hand mixer. 2. I ran a 5K a couple months ago, my first! It was very exciting! 3. I have trouble keeping my spaces neat. It takes a lot of effort for me to keep my locker clean! But I think I’m improving! 4. I love to write stories but unfortunately I never finish them. 5. Though I like to read, I am very picky about which books I read. One of my favorite series is the Harry Potter books. 6. I am taking Spanish in school, so I speak a little bit of Spanish! 7. After watching a video in science class, I now only eat humanely raised meat! Thanks again to both Fae and Rabbit! In other news, as I mentioned, I got a new mixer! I am so excited about it! I feel like I should begin this post by saying that I’m sorry. I haven’t been posting for a while but I have an excuse. This week I’ve been playing tennis all day in the hot hot weather. It’s really hot and tiring and this is why I haven’t been keeping up with my blogs. 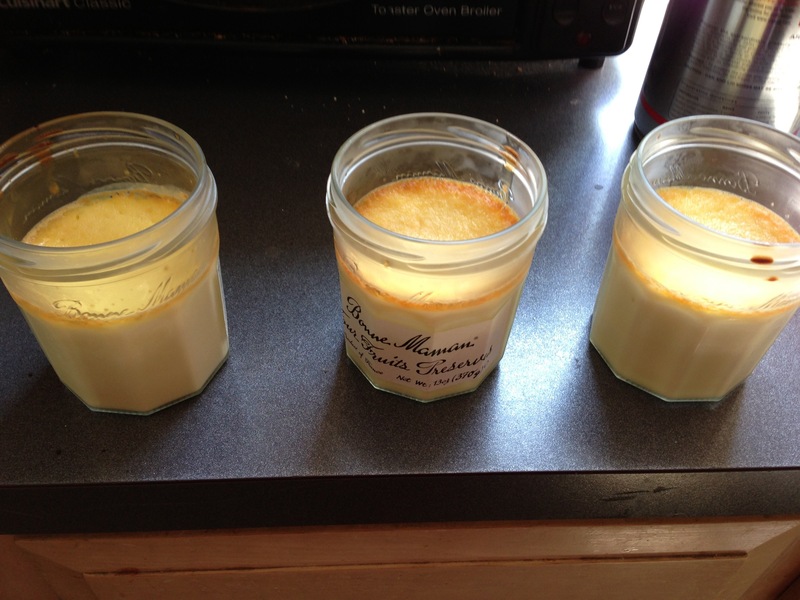 Moving along, I made Vanilla Pots de Crème! 1. Heat oven to 300 degrees. Pour cream into small saucepan. Split vanilla beans in half lengthwise and scrape seeds into cream. Put pod in cream, too. Heat cream until steam rises. Cover pan, turn off heat and let steep for 10 to 15 minutes. 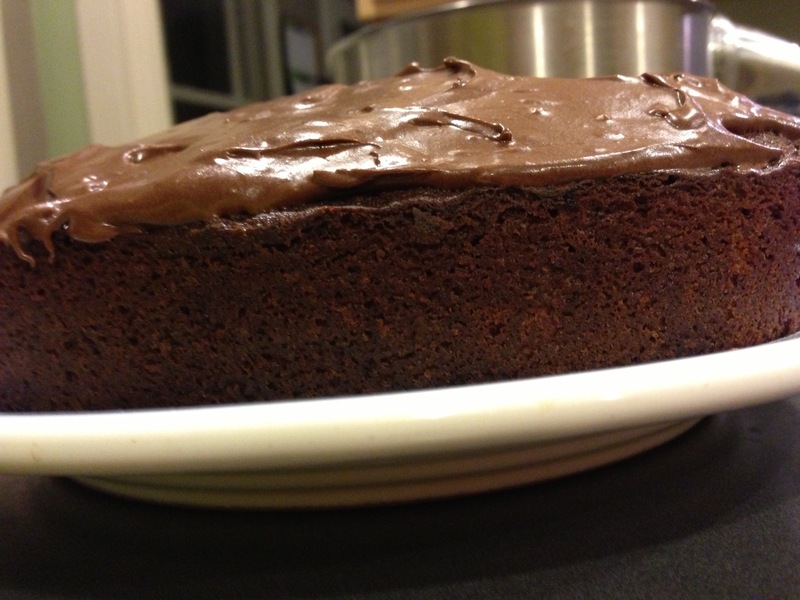 If using vanilla extract, just heat cream and let it cool while you proceed. 2. Beat yolks and sugar together until light. Pour about a quarter of the cream (remove vanilla bean pod) into this mixture, then pour sugar-egg mixture into cream and stir. If you are using vanilla extract, add it now and stir. 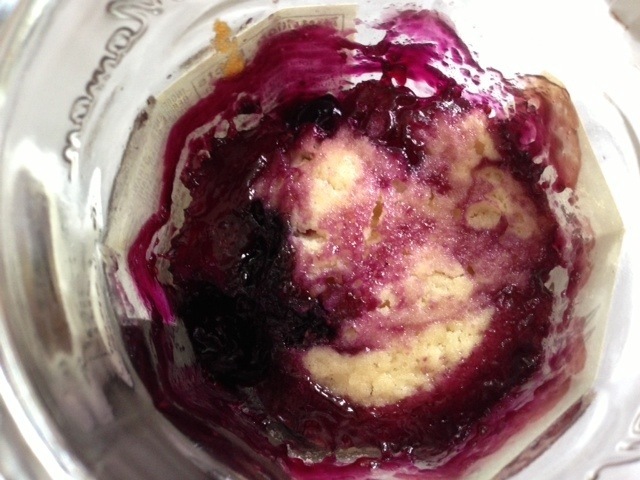 Pour mixture into 4 6-ounce ramekins and place ramekins in a baking dish; fill dish with water halfway up the side of dishes. Cover with foil. 3. Bake 30 to 45 minutes, or until center is barely set. (Heavy cream sets fastest; half-and-half more slowly.) Chill, then serve. 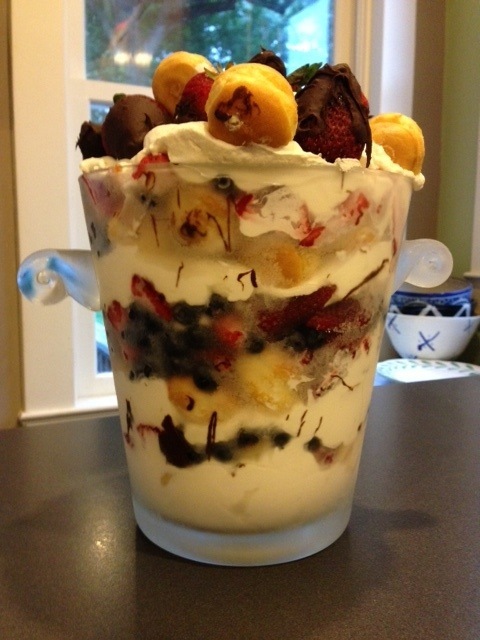 Now I used jam jars so they were pretty full. I advise that you eat half, and save the other half for later. But these were fantastic! Some good friends and I are very big fans of cream puffs and we made a cream puff “cake” for a celebration we were having! We used some homemade whipped cream, cream puffs, strawberries, blueberries, and topped it off with chocolate covered strawberries! It was very tasty! 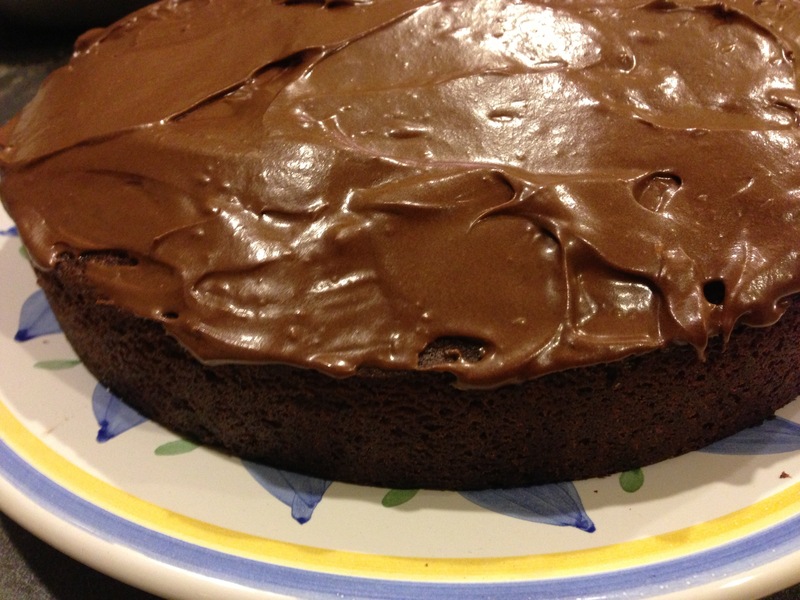 For my frosting, I used the same recipe as the Vanilla Cupcakes with Rich Chocolate frosting. It is one of my favorites! Baked in mini jars, these picnic-perfect desserts offer the ultimate in portability. 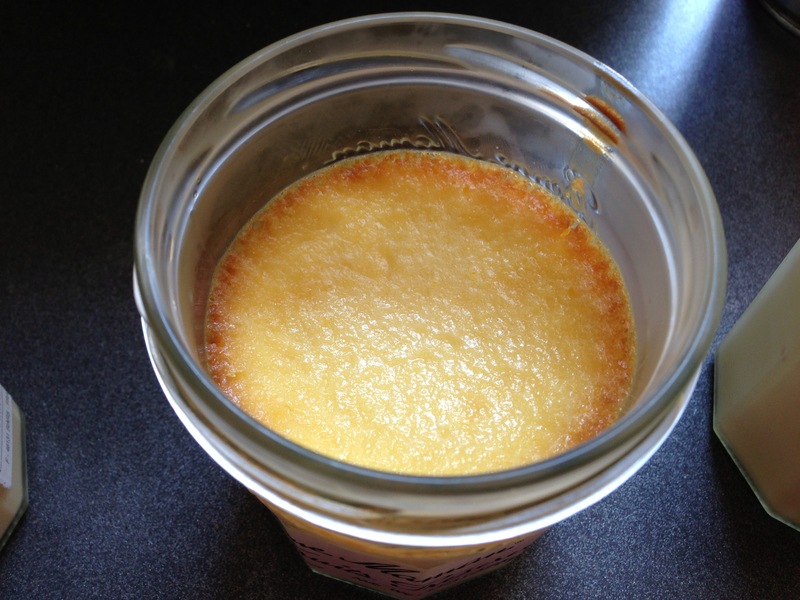 They can also be made in individual ramekins instead of jars. If you don’t have a convection oven, bake in a conventional oven at 375ºF; you may need to add a few minutes to the baking time. 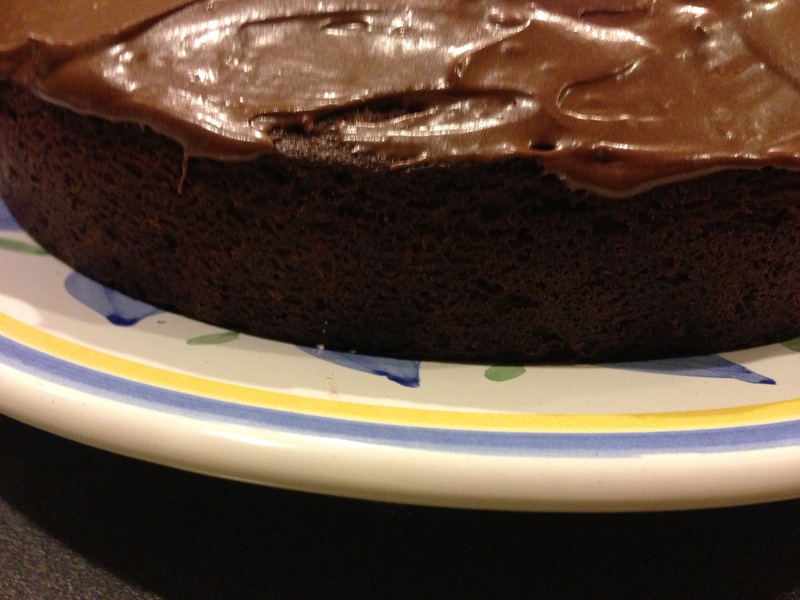 The recipe can easily be doubled to make 12 cakes. Preheat the oven to 375°F convection. Grease the insides of six 5.4-oz. jars. Line the oven’s baking tray with parchment paper. 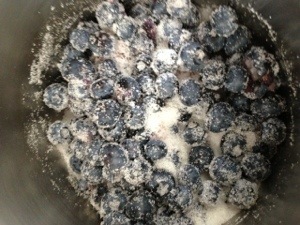 In a small saucepan over medium heat, combine the blueberries and the 1/4 cup sugar and cook, stirring until the sugar is mostly dissolved, 3 to 4 minutes. In a small bowl, whisk together the water and cornstarch and stir into the saucepan. Bring to a simmer and cook, stirring occasionally, until the mixture is thickened, about 5 minutes. Remove from the heat. In a bowl, whisk together the flour, baking powder, salt and the 6 Tbs. sugar. In a large bowl, whisk together the egg, buttermilk, butter, lemon zest and lemon juice. Add the flour mixture, whisking until the batter is just combined. Spoon 1 Tbs. 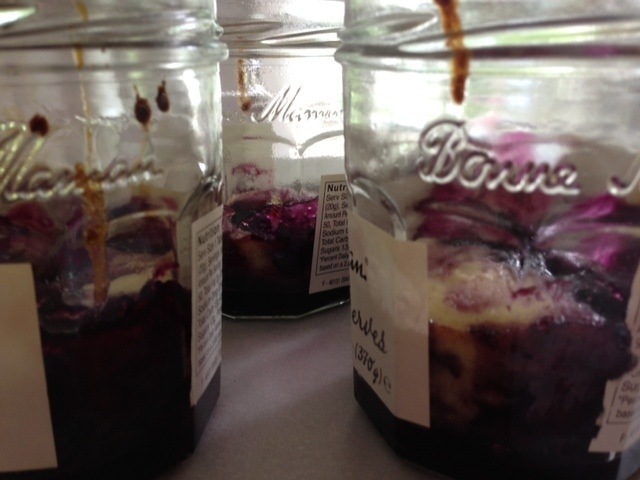 blueberry mixture into the bottom of each jar. 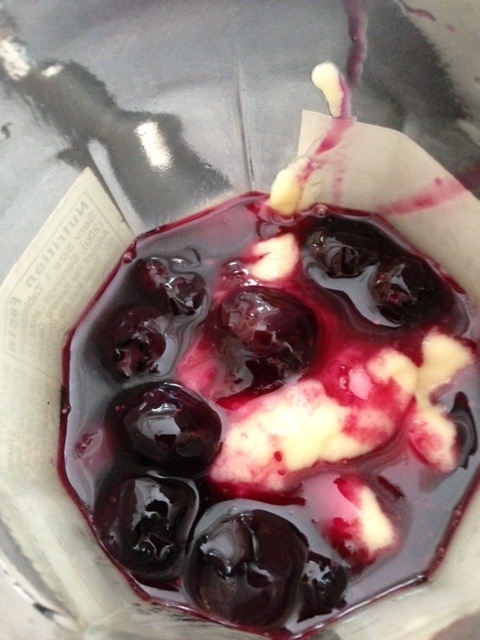 Top each with 1/4 cup batter and then 1 Tbs. 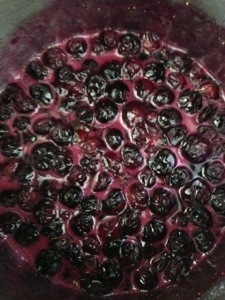 blueberry mixture. Place the jars on the prepared baking tray and transfer to the oven. Bake until the tops are lightly golden and a toothpick inserted into the center of the cakes comes out clean, about 20 minutes. Let the cakes cool completely in the jars before serving. Serves 6. I really loved this recipe! I highly recommend it! I hope you are all doing well, and having great summers!